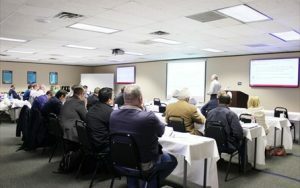 Houston Training & Conference Center, 480 N. Sam Houston Parkway E.
Learn how to lead and conduct internal audits and vendor assessments to API Specification Q1 9th Edition within your organization through our unique training experience which combines the practical application of both lead auditor and internal auditor skills with a real industry related exercises and experienced lead auditor examples. 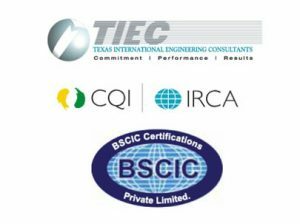 Be quick to learn and understand the requirements for ISO 9001:2015 by attending TIEC's technical transition training course. Get the tools and gain knowledge about how API Spec Q1 9th Edition can meet the new ISO 9001:2015 requirements, and how it's applicable to the Petroleum and Natural Gas Industry. 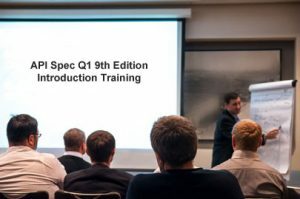 Be quick to learn and understand the additional 93 requirements for the 9th Edition by attending TIEC's technical introduction training course. Get the tools and gain knowledge about the significance and importance of API Spec Q1, and how it's applicable to the Petroleum and Natural Gas Industry. 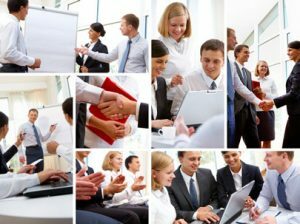 Participants will be able to describe the purpose of a quality management system, quality management systems standards, management system audit, third-party certification and the business benefits of improved performance of the quality management system. Explain the role and responsibility of an auditor to plan, conduct, report and follow up a quality management system audit in accordance with ISO 19011, and ISO/IEC 17021-1, as applicable. The 2nd addendum of the current edition of API Spec Q1 has been published with an effective date of June 2019. The addendum can have a significant impact over how you control your supply chain. 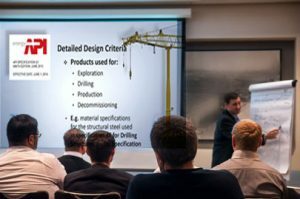 This course will give you the practical knowledge you need to ensure your critical suppliers conform to requirements, and your entire QMS conforms to the current Specification.